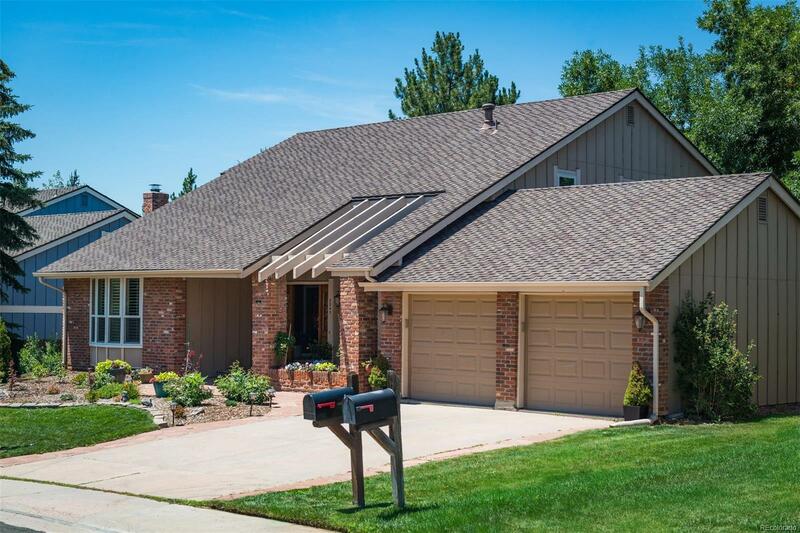 This is a beautiful, spacious and updated home in the magnificent Willow Creek community, ideal location to an excellence award of Cherry Creek school district,18-acre parks, 6-mile Willow Creek trail, pool, clubhouse & tennis court. Park Meadows shopping & dining area, easy light rail and highway are nearby. Opening floor plan with a soaring ceilings, natural lights, hardwood floor throughout the entire home. The huge gourmet kitchen features 42" customized cabinets, granite countertops, stainless steel appliances, extend granite island & beautiful backsplashes with double ovens. Please make sure visit finished basement with a full bath and wine celler. The backyard has covered patio/deck, perfect for outdoor activities & entertaining.